Have you been thinking of ways to enhance the way your smile looks but aren’t sure which type of cosmetic dental treatment is the best solution? We offer tailored smile makeover plans that are designed to meet your concerns, goals and budget. Together, we’ll work to design a path to work toward the straighter, whiter, fuller teeth that you’ve always wanted to have. Veneers — For a completely redesigned smile, veneers can cover the front of teeth that are visible when you smile. 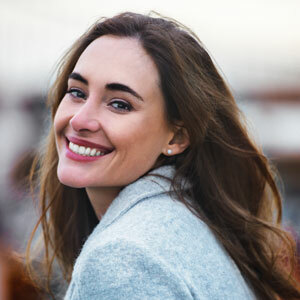 Implants — Replace missing teeth with a long-lasting restoration that mimics the appearance of your natural bite. Invisalign® — Clear, removable orthodontics straighten otherwise healthy teeth for both beauty and improved function. Gum Recontouring — Soft tissue lasers allow us to adjust your gumlines to reveal fuller, evenly shaped teeth. Bonding — Quickly repair minor chips or gaps between teeth with this same-day cosmetic procedure. In most cases, our smile makeover patients elect to combine two or more procedures to give them the final results they’re hoping to achieve. We’ll work closely with you to discuss the advantages of each option so that you can make an educated decision before investing in cosmetic treatment. Why Invest in a Smile Makeover? Healthy teeth are important to your quality of life. But when aesthetic challenges interfere with your self-confidence or social encounters, they can leave you hiding your smile and changing the way you interact with the people around you. Choosing to invest in cosmetic dentistry benefits more than just the way your teeth look in the mirror! To learn more about how we can help you address cosmetic dental concerns and change the appearance of your teeth, book your smile makeover consultation today.